October 13th had been nominated as VK2 SOTA QSO Party day. I was hoping for a busy morning on the radio with activators and chasers looking for contacts. As Mt Lowden attracted an 8 point score we would be a popular find on the bands. We would probably make most of our contacts on 40m but expected a few contacts on 30m and possibly 20. 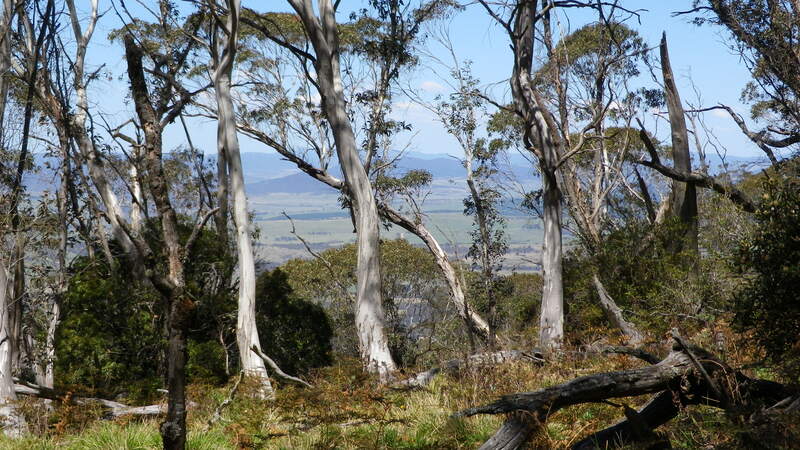 I left Yass at about 5:45 and could see wisps of mist above the rivers and dams but there a clear sky and it seemed a typical spring day in the southern tablelands as I drove towards my meeting place with Andrew Mosely VK1NAM at Queanbeyan. 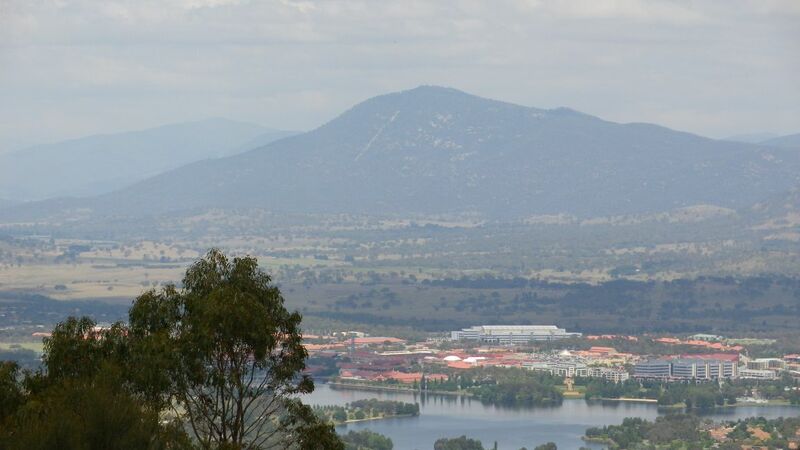 I stopped just on the edge of Canberra for a quick breakfast and a takeaway coffee. Arriving at the spotlite carpark at 7:05 I saw Andrew’s Skoda Yeti (the sotamobile) so we were soon on our way along the Kings Highway, the Captains Flat road then other connecting roads leading us past Rossi and along the Lowden Forest Road. 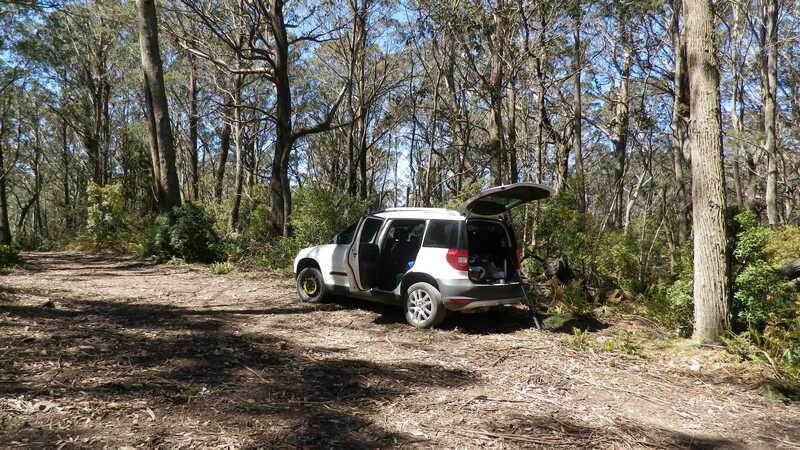 We first overshot the turnoff up to the Lowden Trig Firetrail, but after correcting that mistake we drove up Lowden Trig Firetrail until reaching the junction with Bald Hill firetrail. At that point we found one of the tyres was mostly deflated and we changed it over for the spare and inflated that. Assumed that one of the sharp rocks strewn along the firetrail had damaged the tyre wall. 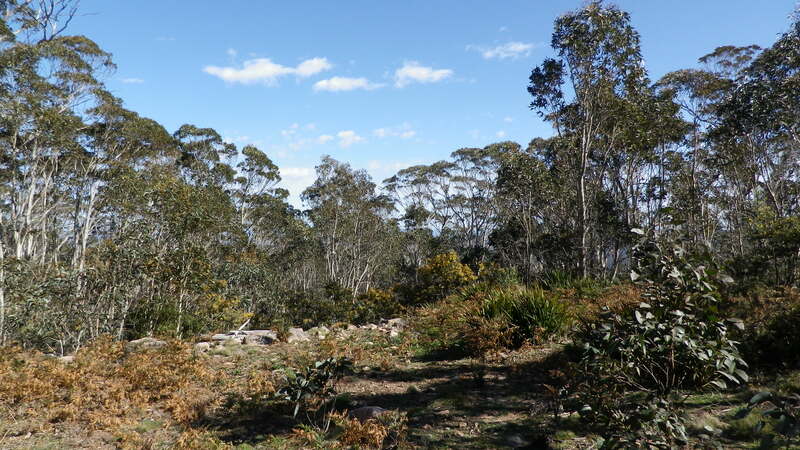 The walk up to the comms tower on the lower part of Mt Lowden was easy enough with a few rocky sections and some muddy lower sections. Walking from there to the summit was more difficult, no path, no well formed track, not even the wildlife had established paths to this peak. Some “nasty spiky” bushes as per Ian’s description (http://vk1di.blogspot.com.au/search/label/Mt%20Lowden) and plenty of rocks and fallen trees to negotiate. 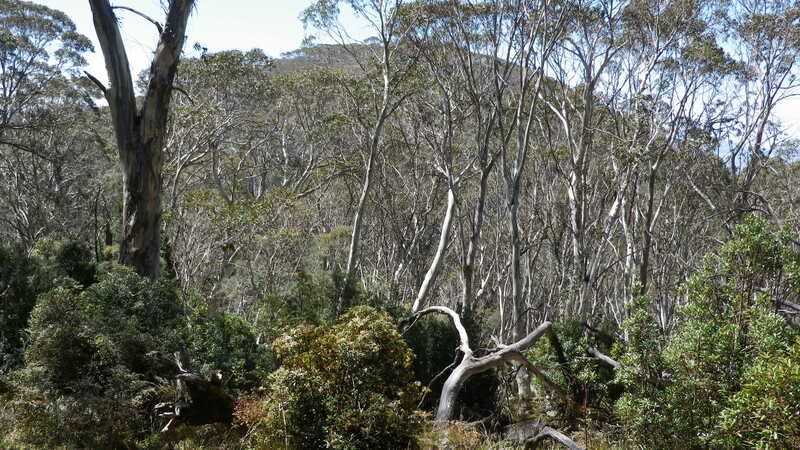 As we reached the activation zone, grid locator QF44SL we contacted Glen VK1FB on Mt Gingera, VK1/AC-002 on 2m FM at locator QF44JK. A distance of 68 km according to my iphone app DistBear. Not bad for 2m hand held radios – without repeaters! After setting up a 40m dipole I got on the air and started working through about 30 contacts. A second antenna was also set up with a coax switch we could use to switch between the two antennas quickly. A/B tests were done periodically and reports were received on the two antennas. Antenna B was consistently rated better. We think antenna A was too close to the ground and too close to trees. Received signals were slightly down compared with the other antenna. More tests to be done on another occasion. On 2m Andrew VK1NAM had been calling cq on 146.5 FM and on 144.2 SSB. He made 5 contacts, then ran a few contacts on 40m looking especially for S2S contacts. At about 0045 the band went fairly quiet and while the CW net still seemed to be running down on 7025 and below with good signals, the ssb signals seemed to be absent. 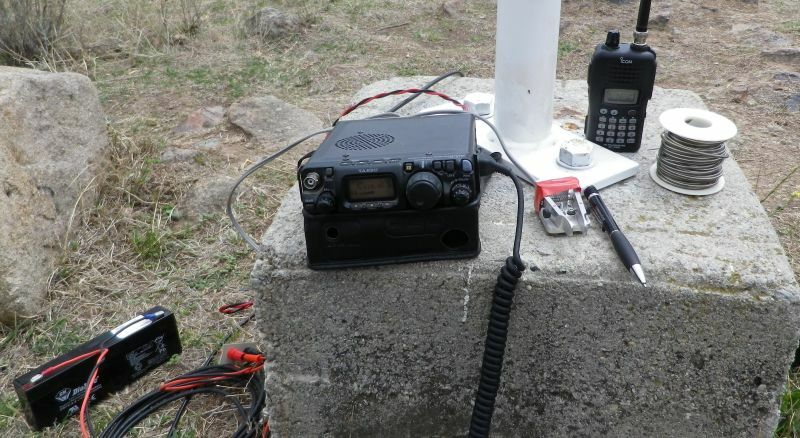 A final cq call received a response from a vk3 at good strength but his signal disappeared on the next over, going right down below the noise level. Some ionospheric disturbance must have occurred around that time. No activity was heard on 10 or 14 Mhz, though signals from JA were heard on 21 CW and 28 CW. CW contact count for this activation: nil. 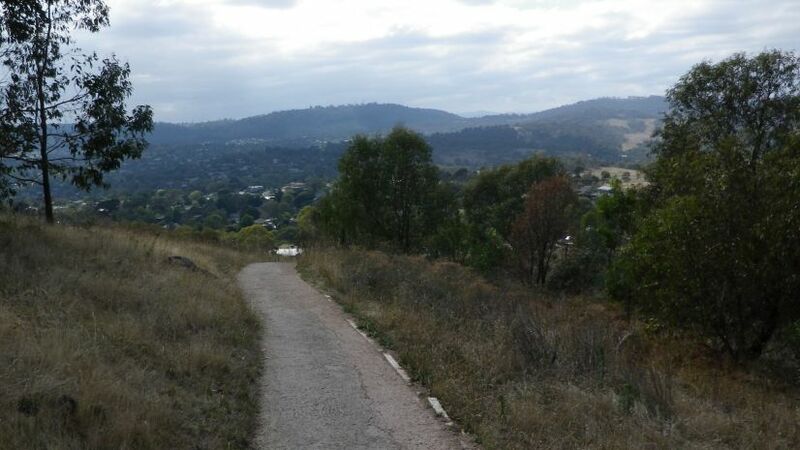 This activation was on Friday evening after work, similar timing to the Majura exercise a week earlier. The climb was not as long but had some slippery rocky sections. 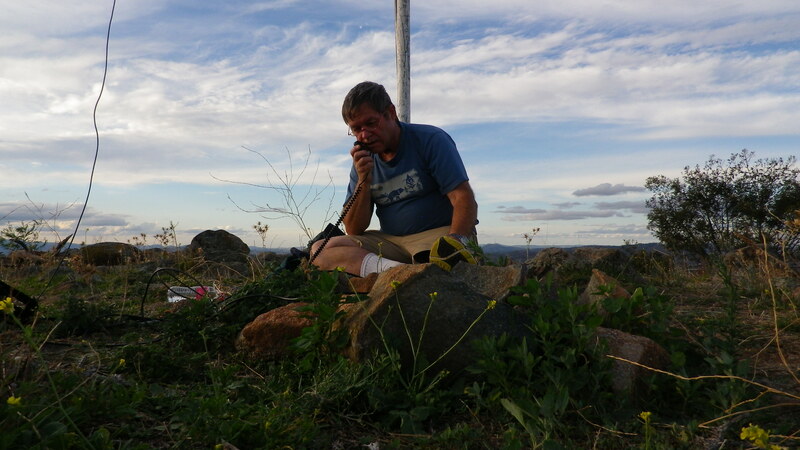 I had forgotten to put the 2m hand held radio back into my backpack so I used the FT817 on 2m FM for some local contacts, including two other SOTA summits. On 40m the conditions were quite good yielding 18 contacts into south eastern states of Australia and one to New Zealand (VK1, 2, 3, 5 and ZL2). All on SSB with 5 watts to the dipole supported by the squid pole at the feedpoint, coaxial cable running down the squid pole to the radio. Powered by the 2.1 AH SLA battery. Stayed talking on 40m too long, did not pack up till about 20:30 and it was quite dark when I got back to the car around 20:45 local time. This would be ok at a site with a decent path but the rocky slippery road is not a good one to descend in the dark, even with light from a torch. The documentation was cleared during January 2013 by the SOTA management team after some amendments and updates. VK1 was then given a start date of 1st February. To make the day memorable we encouraged VK1 activations via email lists and a presentation at the local club a week earlier. We asked chasers to tune in and help us get our required contacts. 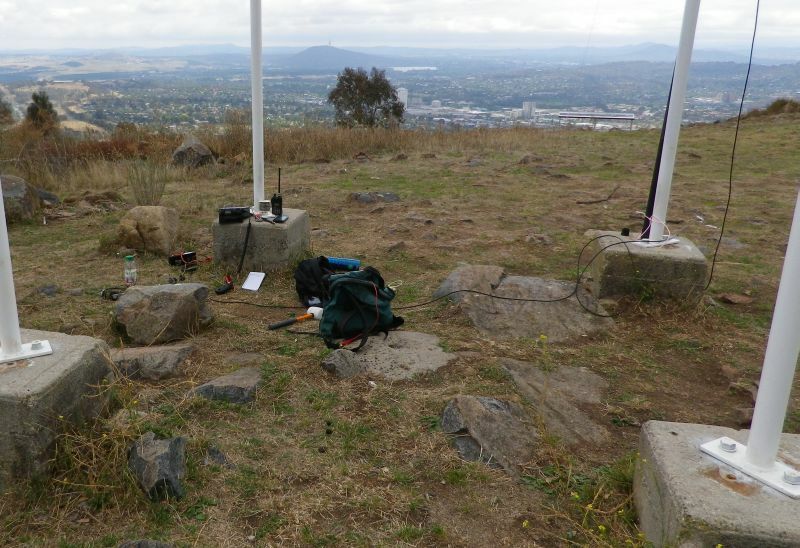 Activations at 0000 UTC were by Andrew VK1NAM at Booroomba Rocks, Matt VK1MA at Mt Stromlo, Russell VK1JRM at Tuggeranong Hill and by me at Mt Taylor. I logged 20 contacts on a combination of 7 MHz SSB and 146.5 MHz FM. 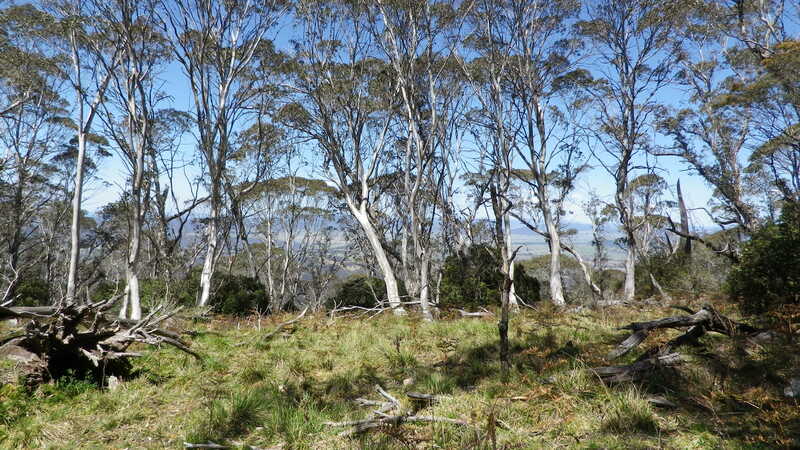 Later in the day Ian VK1DI walked up Mt Majura and activated successfully with VK3 and VK5 contacts. 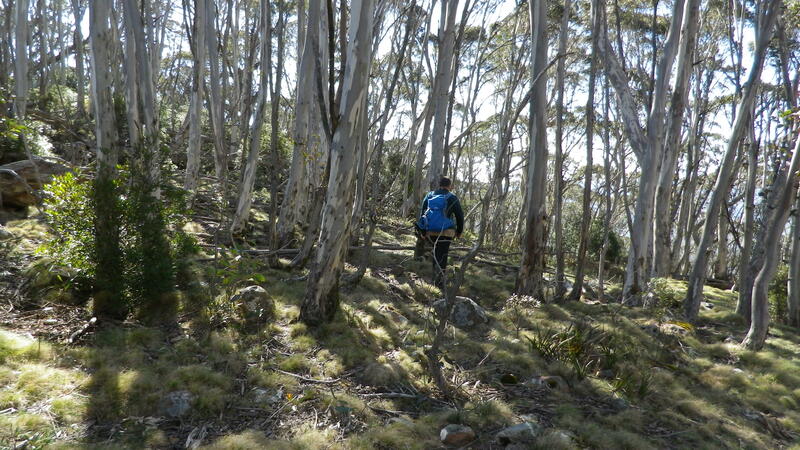 There are a few possible approaches to climbing Mt Taylor. 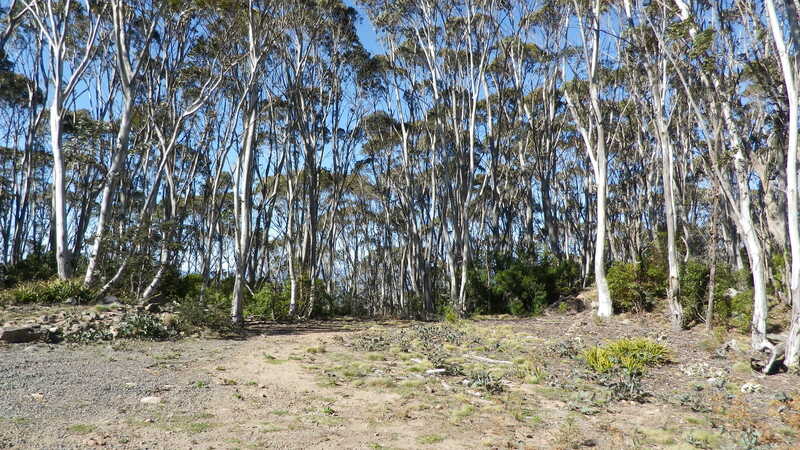 The route I chose was from Sulwood Drive, Kambah. 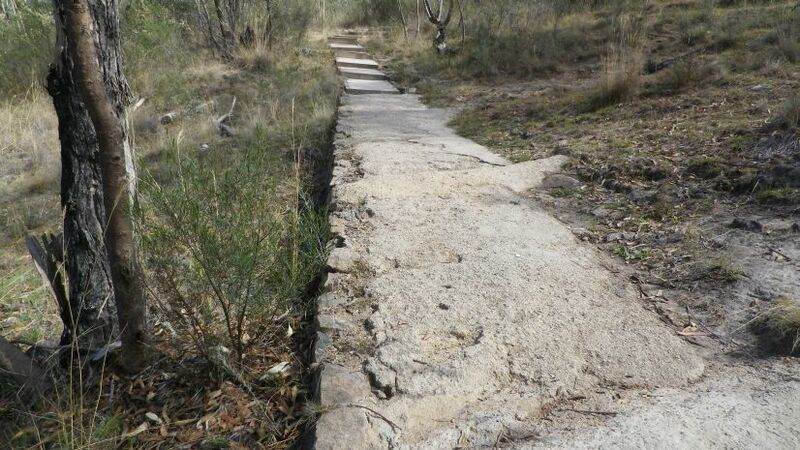 This route may be a little longer than the Pearce or Chifley approaches. Parking on Sulwood drive near the intersection with Manheim St, the walking path is easy to find and leads up a steady rocky path, which eventually becomes a bitumen sealed path, gives way to compressed gravel, some concrete in places and some wooden framed steps in other parts of the trip. 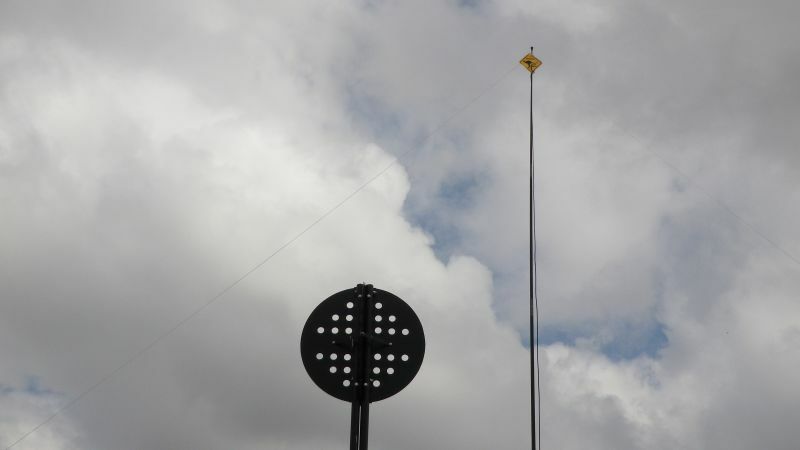 On arrival at the summit, the squid pole was extended and the central feedpoint of the 40m dipole was attached to it using cord. The ends of the dipole insulated by several metres of cord are attached to tent pegs hammered into the ground. A stone could be used as a hammer but I took a rubber mallet for this purpose. The FT817 was powered by a 2.1 AH SLA Battery. Note the miniature morse paddle, purchased as a kit at Dayton Hamvention in 2010. This paddle is nice but too light so it needs to be held with one hand while you send with the other. Attaching it to a lump of heavy metal (not a Metallica album) would solve the problem but also add to the weight in the backpack (see below). Signals on 40m were very good. 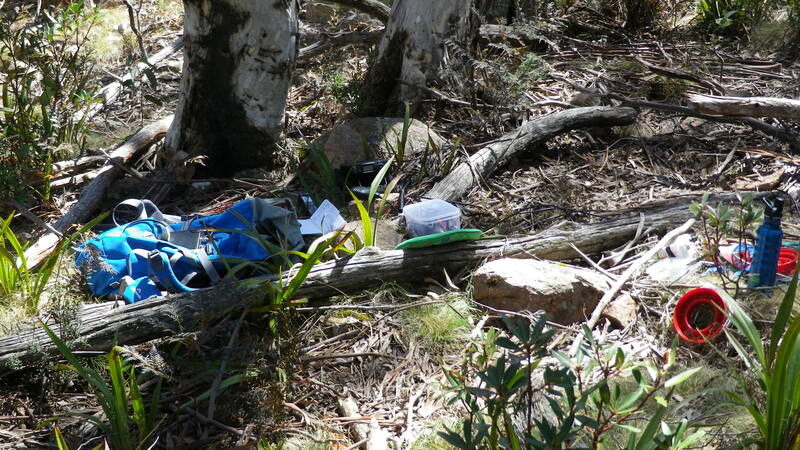 Easy contacts were made around VK1 and with VK3 stations, including some SOTA activators on summits in VK3. 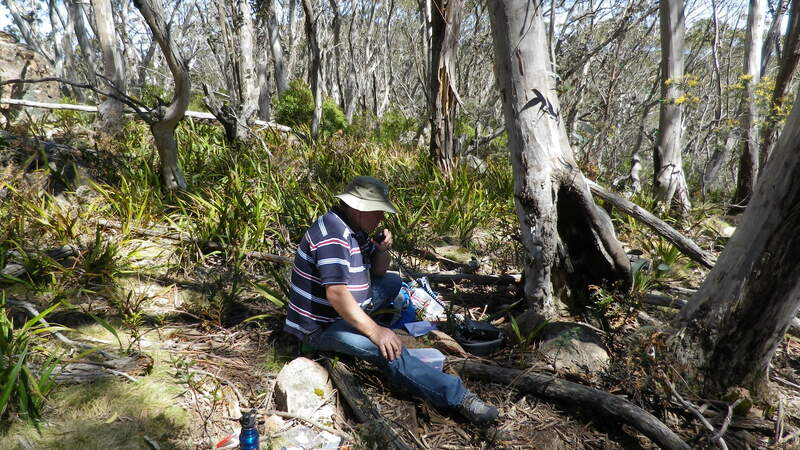 After liaising with Bruce VK1HBB on 2m we also made contact on 7090 where we had our first SOTA contact for VK1. 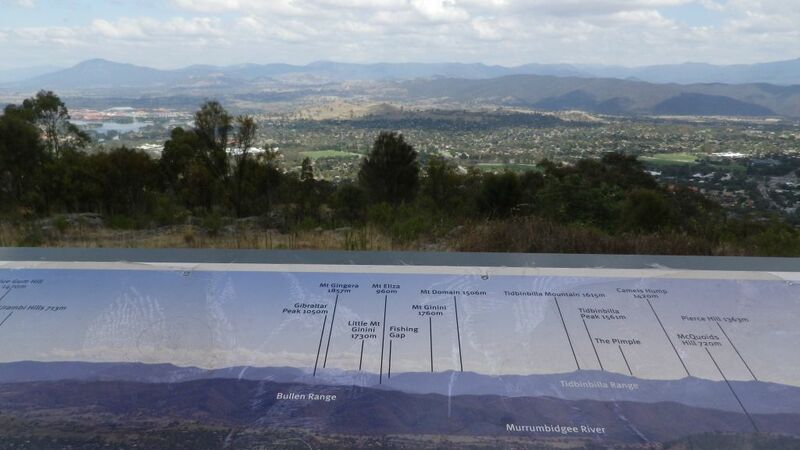 After that the fun began and at times three frequencies were in use on 40m, while on 146.5 FM the Icom radio chattered away with a continuous series of contacts between VK1HBB, VK1FPIT and VK1FTAY who were portable at Mt Ainslie, VK1NAM at Booroomba Rocks, VK1MA at Mt Stromlo, VK1JRM at Mt Tuggeranong, VK1DR, VK1SV and VK1DI. On HF I did call cq on CW at one stage but activity on CW during week days is rather low. This must be why my signal was discovered by an automatic skimmer run by Lyle VK1LW, whose station logged my CQ call and that ended up on SOTAWATCH as a spot. Everyone involved seems to have enjoyed the day. A field day with a difference. 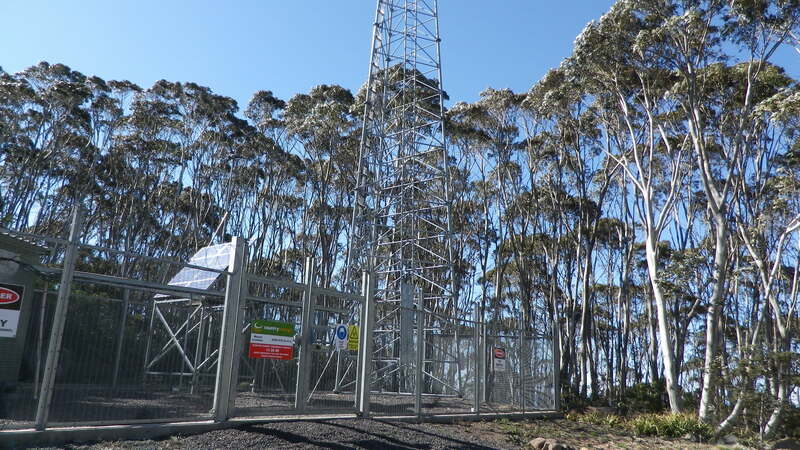 Several operators took leave from work to activate on this day and we appreciated also the efforts of VK3 and VK5 activators and chasers who turned up on time to give us contacts and get these new SOTA summits into their chaser logs. No doubt from this point on we will gain new activators and chasers as familiarity with the award increases. I would like to use more bands for these events. Some activators are routinely making CW contacts into Europe and the USA, some are making some ssb contacts, using 20m and 15m bands. I underestimated the amount of equipment I would be trying to stuff into my ordinary backpack, and how much it weighed when I did! And that was a single band wire antenna, and a 2m handheld with its own flexible antenna. Carrying a real 2m antenna would add more complexity and weight. The SOTABEAMS enterprise in the UK offers readily assembled beams for various bands. For HF, some operators like horizontal antennas, both centre fed and end fed. Some like verticals. Your mileage does vary depending on what you are trying to do. The verticals would surely be better for DX contacts. 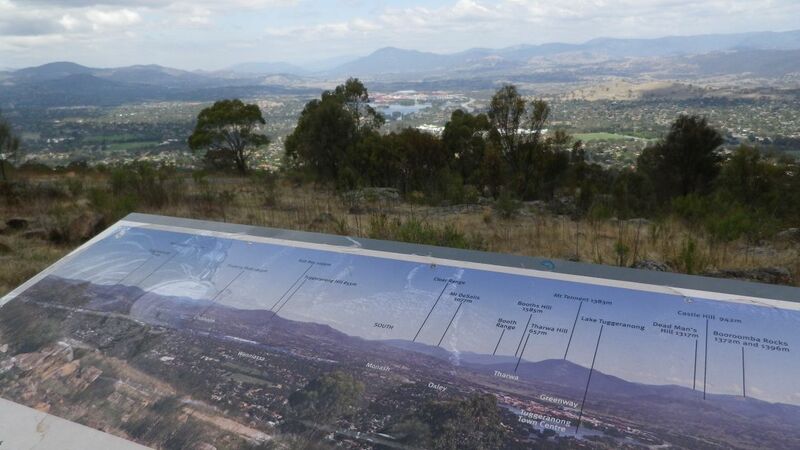 On the way down Mt Taylor I noticed a panoramic map installed by our friendly local government, showing the features of the Tuggeranong Valley and naming the mountains in the distance and on the horizon. Some of these will be familiar to readers, and some will be more familiar in a year’s time as many of the names seen here are SOTA summits. 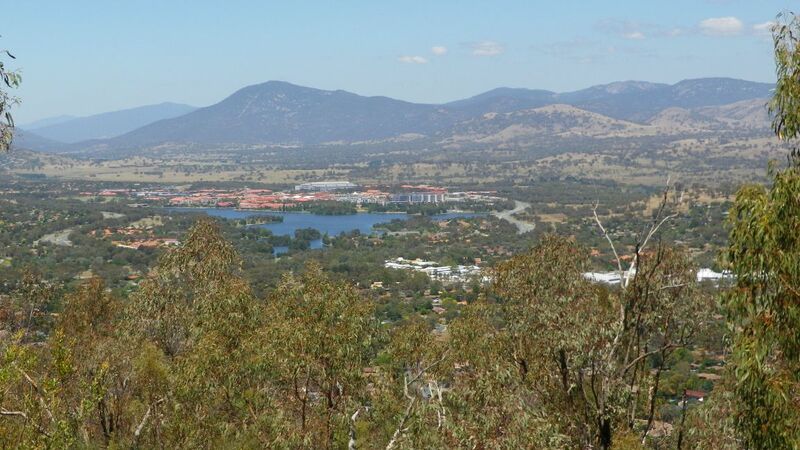 The prominent mountain behind the town centre is Mt Tennent, named after a bushranger. The fable is that he buried treasure of some kind up there before being captured. Picture taken two days earlier without the mist was a lot clearer.